There’s an apostate brace on Belenus. Plsssss spam him (don’t actually._.) to tell us where did he get it from, and to show us the skill description. Need to know if these rings are worth farming for or not. 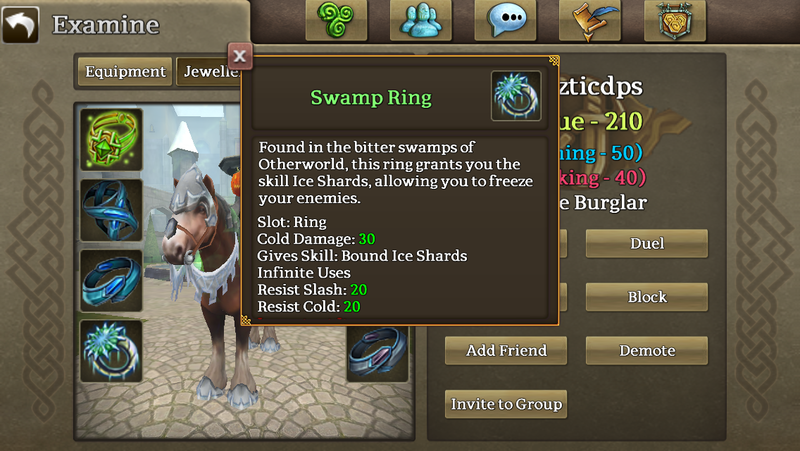 swamp rings drops from 5s rare spawn swamp. Marksman wrote: swamp rings drops from 5s rare spawn swamp. Could u pls show the given skill’s description?